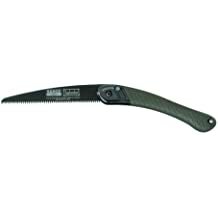 Rock solid example of the Bahco Folding saw. There are many different types of camp saws out there. If you’re looking for a specialty saw to help with some serious landscaping or a good survival piece that can help increase your chances of survival out in the wild, or somewhere in the middle, a hand hand folding saw combines the best aspects of a survival saw and a lockback pocket knife. 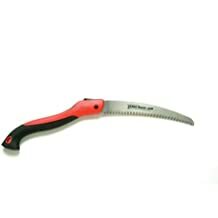 This combination creates a portable hand saw or pruning saw that is great for heavy duty lawn work, getting some extra wood for the fire at a campsite, or even for a wilderness survival situation. Read on to learn more about the best folding saws currently available. Folding saws are often the first ones that come to mind once you think about these saws as a survival tool. Easy to carry, easy to pack, and solid as a compact but effective tool. While there are some truly large models that are clearly property tools, folding saws for camping and outdoor use can be found in abundance. These are truly great tools that any outdoorsman will be able to find a use for. Take a look at our picks for the absolute best camping saws currently available. This is easily one of the best folding saws out there and there’s good reason that the Laplander folding Saw from Bahco consistently comes up as one of the absolute best on the market, especially when you’re looking for a versatile but effective saw that is really useful in a wide array of situations. Labeled a general purpose folding saw, and featuring an impressively sharp 7.5 inch sized blade that includes an excellent 7 teeth per inch ratio that allows for some particularly effective cutting. This design and the quality of metal work means the Bahco pocket saw is perfect for a wide variety of jobs including cutting dry wood, green wood, plastic, or even through skin and bone. These are impressive little saws that campers, hunters, ranchers, and many outdoor enthusiasts will find plenty useful. The blade is coated to give not only solid protection from rust but also produces low friction when cutting allowing for a faster and stronger cut. The handle is created as a two part plastic handle along with a leather strap. The safety lock allows the blade to be locked with the saw is locked in for storage or locked out for use. The Bahco saw blades have a reputation as one of the best on the market and are often mentioned as an alternative to any argument involving Corona or Silky’s saws, putting them firmly in the discussion as one of the best saw brands out there. The Bahco survival folding saw is great as a bushcraft & camping option, and this product often gets a strong reputation as having a natural cutting feel to it, as well as being lauded for its extremely sharp blade and how easy it is to re-sharpen. 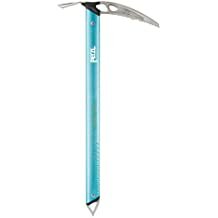 This is our pick for the overall best choice for quality, versatility, warranty, and reasonable pricing. The Laplander is just a winner as far as saws go. Tracing back their history to the orange groves of California in the early 1920s, Corona is a name that has been associated with some of the top folding saws or pruning saws in the markets for years. If you are looking for a folding saw for orange groves, you need a pruning saw that can do some serious cutting through green wood and thick thorn vines. The RazorTOOTH is considered by many to be the elite brand that Corona produces and it’s not hard to see why. The razor teeth aren’t two sided, but three sided, creating the ability for a deep and efficient cut that can do a lot of work. There are blades available in 7, 8, and 10 inch lengths with the 10-inch blade idea for most individuals looking for an outdoor or potential survival saw situation since these are large enough for powerful cutting not just sticks but small and even medium branches, as well. The saw handle is ergonomically designed to be comfortable for the user, allowing them to saw for long periods of time without experiencing pain from long periods of gripping. In addition, the blades themselves are easy to latch and easy to replace while featuring a great curved and tapered blade that gets the job done. This is an outstanding option, and very budget friendly, as well! The EverSaw folding hand saw is a portable tool that definitely holds up to this best of list, and we are happy to see a portable pruning saw from this trusted brand make the list. The EverSaw 8.0 features an 8-inch blade specially made for versatile heavy duty use, an ergonomically designed handle, and a lifetime warranty that stands behind the quality construction of this folding saw. Build to be sturdy in addition to versatile, the razor teeth of this saw are triple cut and hardened to remain sharp for longer and allow for a fast and smooth cut for a wide variety of material. This isn’t just limited to wood but includes materials like bone and plastic. The Japanese-style of pull cutting makes this a very impressive folding saw that can get the job done. Great for part of the garage tool collection or for heading out in the wild. This saw includes a lifetime warranty, and the blade itself is made from a special carbon steel that is engineered to stay sharp and reduce friction. There’s a lot to like about this set up, including the fact that the blade folds completely into the handle making it easy to toss into a pack or a bug out bag without worrying that it will snag on anything or damage the bag. This is an excellent inexpensive folding saw that will be a great addition to any tool or outdoor tool collection. 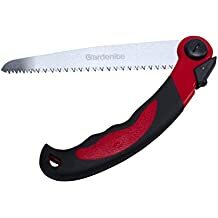 Focusing much more on the home garden tool aspect of a folding saw, often called a pruning saw, Gardenite still produces an outstanding folding saw that is just as good as an emergency bug out bag tool for wilderness survival or camping use as it is for top notch pruning and property work. A very deserving place on our list as an effective choice to act as one of our best folding knives for camping and survival. Using the popular and renowned edome style of tri-edged blade teeth, the Gardenite heavy-duty hand saw has a reputation for a truly sharp cutting surface that provides a strong, steady, and reliable cut while the design allows saw dust to pass through easily and the blade teeth will stay sharper for longer in between sharpening sessions. The saw blade itself is made from a special high carbon Japanese steel that is known for being flexible yet strong, while a chrome plating adds extra rust resistance as well as re-affirming and supporting the strength of the blade itself. A large ergonomic handle crafted from high quality TPR rubber means not only will your hand remain comfortable, but for individuals with larger hands like me that is a nice design focus to make sure that the ergonomic handle actually fits well in hand so it can do its job. There’s a dual action lock that works via push button, and this is a quality pocket pruner that is also backed by a 100% customer satisfaction guarantee. A very worthy addition to our list of top rated folding saws. The Primos folding saw is an impressive budget option when it comes to these portable pocket saws, and this folding model even comes wit ha basic carrying case that can be looped into the belt. This particular design includes a comfortable handle that allows them to use this saw over long periods of time. A simple push-button lock will keep the saw blade in place while you cut through whatever wood, branches, vines, or growth you need to trim out whether at the campsite or around the house. This is an extremely lightweight option and the offset teeth allow for deeper and more solid cuts. This is a saw that is easy to use, works surprisingly well for a lightweight budget model, and the rubber coated grip means it is easy to hold firmly and get the most power out of every cut. No wasted energy here. This isn’t going to be the same level as truly elite options, and the one smaller blade length is going to be a turn off for those of us who really like longer options or the versatility, but if you’re looking for a good folding compact saw that is quiet, efficient, and gets the job done, then this is a very solid option. Available in both a curved blade and straight blade model, the folding saw from TABOR TOOLS is an excellent starter option that gives versatility and a solid tool good for branches up to 4 inches in diameter. The saw blades are rust-resistant (this applies both to straight saw blades a well as curved ones) and is a popular choice when it’s time to get some hedges under control or some basic limbing work is needed. The strength of this saw also makes it a great choice for camping or as a carry along for a survival situation, giving you another active tool that can supplement your knife in addition to saving the sharpness of your knife in a survival situation. This is a blade that cuts on the backwards draw stroke, making it a particularly good pruning option and a tool that is relatively versatile for use around the house. They can do a surprising amount of work before blade sharpening or maintenance is needed and the non-slip grip means you shouldn’t have any problems keeping a firm grip and getting through any job ahead of you. These are an outstanding option that will do the job for the far majority of outdoor enthusiasts and home handymen. 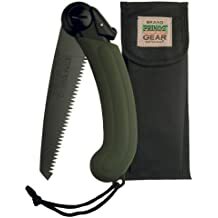 The Mossy Oak folding hand saw is built a lot less for major around the property pruning and is an inexpensive tool build built to meet basic cutting needs in the field. Whether viewed as a portable folding hunting saw or a good piece of an emergency equipment, the Mossy Oak folding saw offers a budget-friendly option with utility and versatility to boot. Featuring three types of different blades (a wood blade, a plastic blade, and a metal blade) this gives a lot of options so you can switch out blades as needed whether cutting through solid plastic, animal bone, or actual wood. The base handle is soft because of a TPR rubber coating to protect the hand while the design features a solid grip that is slip-resistant in nature. A nylon pouch is included for easy carrying of the folding saw when it is folded and there is space there for additional blades. Add in the well respected Mossy Oak name and it is easy to see why this particular option is popular. A solid inexpensive option to get started. Traditionally the SOG brand has been pretty rock solid (and we really love their tomahawks/hatchets in particular) they do make the bottom of our top rated list because while offering a saw that many individuals have rated highly and think well of, there have been enough instances of concern that we feel like this isn’t quite the same level as some of the other products that SOG puts out. For now we’ve had enough good experiences that we have this one making the list, and it is the most budget friendly by far, making it affordable for even the most boot strapped of budgets. That being said to be aware there is a bit of a “hit or miss” potential here. This compact folding saw is designed for camping, pruning, and general use and features a black carbon fiber blade that measures 8.25 inches in length. Best used on dry wood or green wood, and this knife comes with a limited lifetime warranty as well as a solid black sheath that comes with a belt loop attachment to make it easy to take with you. 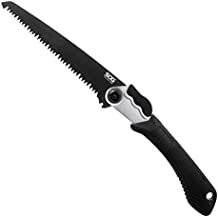 This is a folding saw that can be used for general pruning around the property or cutting small branches or thick sticks in the wild. While it’s not the same elite level of quality as some of the higher ones on the list, this is a great budget starter option. Q: What are the most important features of a good folding saw? A: The first step is really knowing what you want. Is it versatility? Basic pruning ability? Tough durability for long term use? There are some saws that meet all of these standards and there are others that are much more specialized in nature. Get an idea if you really need a saw with special Japanese style cutting teeth or if something more basic will do. Q: Is there really a major difference between a regular folding saw and a “premium” model? A: Yes. From the materials used to create the blade to the actual style of saw teeth that determines their ability and versatility as a cutting tool, there can be a huge difference between the cutting ability and quality of folding saws. For many people this isn’t a huge deal, but the difference definitely exists between top tier elite and top tier basic. Even on this page (with all of these being good to great options) there’s a huge difference from top to bottom. Q: How do folding pruning saws compare to the non-folding models? A: Depends on the quality you get. Many non-folding models tend to have slightly longer blades which can be more convenient, but also keep in mind these need to be sheathed and aren’t as versatile or easy to move/travel with than the folding pocket saws. Both have their definite pros and cons. Q: Why would you use a portable hand saw? A: Why not? They are a great tool and can be useful for carving through bone while dealing with an animal carcass, pruning problematic tree branches or hedges, or cutting firewood when a better tool isn’t available. These have a variety of uses and the high end ones are a great tool to carry around, and won’t raise eyebrows in town the way a large knife and hatchet might. Q: What is a portable saw used for? A: Most of the time these are used for pruning work, however that’s not always the case for the more versatile ones. Some of these can be used for helping to dress an animal carcass and cut away bone or sinew to get the most out of the animal, some can be used to cut through plastic materials, and some are rock solid as survival saw options because they are built to do all three. Q: Just what are pruning saws used for? A: Trimming branches. The best ones include the ability to cut dead wood and green wood, and they can be used to break down many branches into more manageable sizes for firewood. Folding saws are also a great back up option if you find yourself out in the woods and have a main bow saw or other primary saw that ends up failing you. Q: Are these the same thing as survival saws? A: This could be a yes or a no. The portable folding versions are often a great option for traveling in the wilderness or as a quality tool that can backup your other tools. While the folding saws are a popular option (if they are the high quality and versatile types) these aren’t the only types of saws that could be considered survival tools. Q: Which saw blades are better: curved or straight? A: This is a preference for many people and also depends on the specific type of cutting being done. Curved blades are often great for pruning or getting around hard angles that are non-traditional when it comes to cutting while for basic tool use straight blades are often the best answer. Q: Which of these portable folding saws are best for a bug out bag? A: The higher up it is on the list, the better. You really can’t go wrong with a Bahco, but several top ones on this list will work but you want a folding saw that is versatile not one that focuses only on one or two uses. Not all folding saws are the same. While some are built cheaply or with a focus on basic use with one material, others develop specially designed saw teeth, and for some people budget matters more than they care to admit. The good news is that there are a wide array of good options across various price ranges, but there are certain things you should pay attention to when it comes to finding the right portable folding saw for you and your needs. Generally speaking folding saws are designed with a limited number of potential uses in mind. Many of these are made specifically for pruning branches or overgrown hedges while others are made with hunters in the field in mind, and others are incredibly versatile and designed to be able to handle anything. Think about what your specific needs are going to be for your folding saw, whether narrow or wide, and adjust your buying decision accordingly to narrow down focus onto the saws that actually meet those needs. How do replacement blades work? Some of these folding saws are designed with additional blades included so one can easily be swapped out for another. In other cases, a versatile blade might come with sharpener or be designed to last the test of time, making an individual call the company for a replacement blade should failure take place. What size saw blade to you need? Blade lengths can vary from a mere 5 inches to well over a foot in length. There is more cutting power in a larger blade but at a certain size these get unwieldy and hard to pack away. Generally longer blades tend to be a touch better than shorter ones, and the larger or thicker the branches or items you will be cutting, the better off you will be with a larger saw blade. How are the teeth designed and/or setup? Some saw teeth are designed to do the cutting on the forward movement while others do it on the back pull. Then there are some that are designed to be able to cut into everything, many even featuring special designs that allow those saws to cut through virtually anything. Look closely at how the saw teeth are designed with each folding saw and that will tell you plenty about the saw itself. There are many different folding saws available and it’s not hard to see why these popular and useful tools are covered by so many. 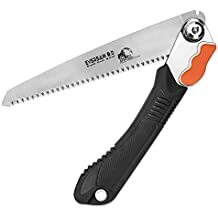 Whether you are looking for a home pruning tool or a truly great tool for survival situations, a good folding saw is your best option and there are some truly outstanding choices here. Whichever way you choose to go, if you get one of the top rated choices from this post, you are going to have a truly high quality tool that is going to help you get the job done.